Continuous Bend Sealer Suppliers|Continuous Bend Sealer manufacturers in Mumbai, India. We are India's leading manufacturer and supplier of superior quality Continuous Bend Sealer. Our talented and skilled professionals design these sealers with different sections, and are highly preferred by our esteemed client's, for its durability and long life. Further, these Continuous Bend Sealers are offered by us at industries leading prices. Horizontal Continuous Pouch Sealing machine used for high speed bag sealing machine are available in different modal Vertical bag sealing machine, horizontal bag sealing machine. This machine you can seal up to 1kg material its use for packaging cheeps, tea and confectionery item BOPP & Laminated pouch. 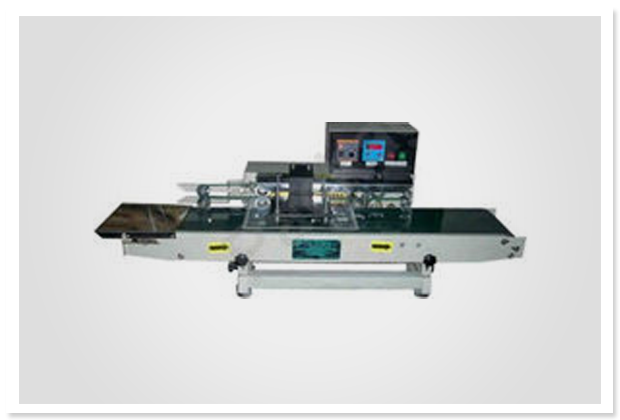 These machines are continuous sealers useful for laminated BOPP, LED Aluinum, and P.P.HM.etc Features: Suitable for sealing all kind of plastic films.